Judge Gergel, the judge appointed to oversee the multidistrict litigation (MDL) for Lipitor diabetes lawsuits, is scheduled to meet with lawyers this week for a status conference. Their focus will be on preparing a small group of cases for early trial dates, known as bellwether cases. A bellwether case allows the parties to see what a jury will do with a “garden-variety, run of the mill” claim in order to determine where the stand. Parties tend to see cases through rose colored glasses — we are do — so trying a few cases gets everyone more realistic. There are currently about 1,000 product liability lawsuits filed in the federal court system, all involving similar claims regarding Lipitor side effects. Allegations include that Lipitor caused women to develop diabetes, and that Pfizer failed to adequately warn consumers of this risk. But these claims are really just exploding. By the end of this year, it is estimated that several thousand lawsuits will be pending by the end of this year. Bellwether cases are often precursors for settlement talks; however, they aren’t expected to begin until at least next summer. Though bellwether outcomes are not binding on any other lawsuits, they help facilitate negotiations in order to reach a Lipitor settlement agreement which may avoid the need for hundreds of individual trials to be held throughout the country. 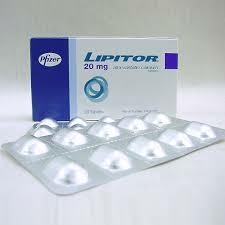 Lipitor, manufactured by Pfizer, is a drug prescribed to lower a patient’s cholesterol level. It works by blocking an enzyme that is produced in the liver. Without this enzyme, the human body produces less cholesterol, which in turn forces the liver to take more cholesterol from the blood, lowering the cholesterol and helps prevent heart disease and heart attacks. While lawsuits have been filed against Lipitor for causing muscle, nerve, and memory problems, the hot issue at hand is the increased risk of diabetes. Medical researchers studied many thousands of people who took Lipitor, as well as other statin drugs. Statistics showed that people taking Lipitor were more likely to become diabetic than people who did not take the drug. While scientists don’t yet know how Lipitor and other statin drugs cause diabetes, the increased risk is clear. According to studies, the increased risk varied depending on the population being studied. It was as much as a 28% increase with some, and as low as 9% in others. Women are the hardest hit by the negative effects of statins, and nationality and life stage also seem to be a factor. Statistics suggest that women who have gone through menopause are at a higher risk, as are women of Asian descent. And, of course, those people who are at greater risk for diabetes, such as a family history, are also at greater risk. Now, not everyone having taken Lipitor or other statin drugs will become diabetic, it just means a higher percentage of those who take the statin drug will could get diabetes than those who did not. It does not mean that everyone who takes the drug will become diabetic. If you or a loved one has been diagnosed with diabetes after having taken Lipitor, contact us to discuss your concerns and whether you may have a case. Contact us at 800.553.8082 or online, here. Can I get an MDL?